Last week I reviewed three of the five new desserts from Candle Café that are now available on the West coast. Since then, I managed to get my hands on the other two Candle Café desserts, Vanilla Rice Pudding and Vanilla Cheesecake, at the Potrero Whole Foods in San Francisco. Over the years, I’ve tasted vegan cheesecakes that have ranged from the tasteless and boring to the creamy, rich and sublime. 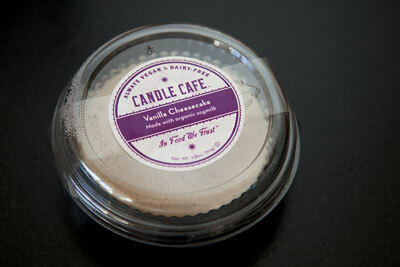 The vanilla cheesecake from Candle Café falls somewhere in between. Complete the following analogy: United States is to burgers as Australia is to _______. If you said pies, advance to the next level. Just as you can be in any American city and be within five minutes walk from a burger joint, the same applies to pies in Australian cities. While Americans have managed to export the iconic burger to all corners of the earth and raised obesity rates wherever the golden arches appear, Australians have not had the same success with pies. Maybe a small vegan pie shop in Bondi Beach change that, minus the obesity. A few weeks ago I was still grasping at any surplus from summer that remained within my reach. Now that we’ve officially changed the clocks and the sun is dipping below the horizon around 5:00PM, I’m switching to fall mode. Waking up to chillier temperatures means that smoothies are giving way to more warming breakfasts, which usually include a hot beverage. While most Americans rely on coffee to get their wheels in motion each morning, I prefer the cacao bean to the coffee bean or even better, skip the beans altogether and brew a fresh cup of chai. 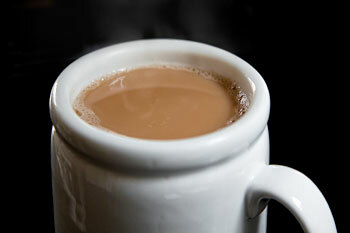 Traditional Masala Chai is made with black tea such as Assam. I love the strong flavor of Assam, but I’m not a big fan of the caffeine. Rooibos is a South African tea that is naturally caffeine free with a mild, fruity flavor that pairs well with chai spices. 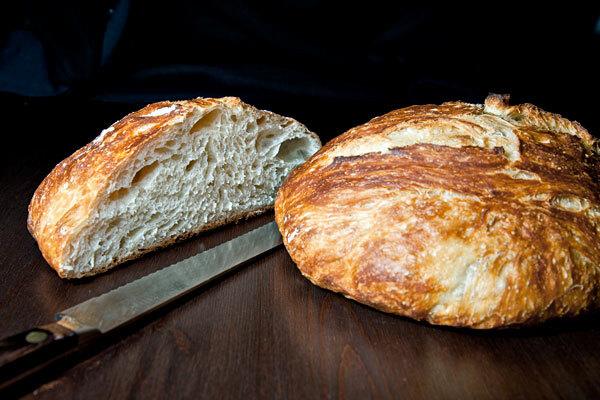 Ever since Mark Bittman featured Jim Lahey’s no-knead bread in the New York Times four years ago, bakers of all stripes have offered up their own variations of this deceptively simple method of turning out beautiful loaves from virtually any oven. The process of creating the type of bread that is found in the finest artisan bakeries is laborious, requires a masters attention to detail, and having a wood burning brick oven doesn’t hurt either. But with Lahey’s method, four ingredients, a Dutch oven or similar pot and some patience while the bread rises are all you need. Since every other food blogger has written about this miracle of modern baking, I figured I’d offer up my own take on no-knead bread in case I have a reader or two just emerging from hiding under a rock for a few years. The basic formula is the same, although I’ve made some changes based on other variations that I’ve experimented with.